Riga. And World RX of Latvia – an unforgettable event for PSRX Volkswagen Sweden last season. This was the 2017 race where the squad sealed both the teams’ and Johan Kristoffersson’s drivers’ FIA World Rallycross Championships. History was made that day. It was also the race where Petter Solberg was involved in a semi-final collision with Jānis Baumanis. 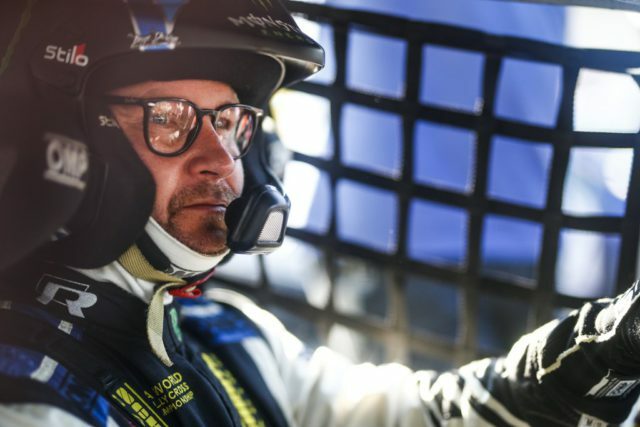 Solberg broke two ribs and his collarbone. He was taken and treated in hospital in Riga. Petter made an exceptional recovery and was cleared to race just 13 days after the crash at World RX of Germany. 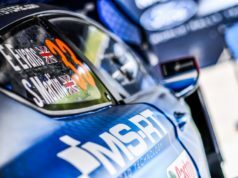 He rose to one of the biggest physical challenges of his career and, after top qualifying and winning his semi-final at Buxtehude, just missed a podium in the final and finished fourth. The comeback was astonishing. But, unbeknown to the triple FIA World Champion, the road to recovery had only just begun because of an underlying condition. Petter’s still on that road. For the first time, Petter’s ready to talk about that road and the fight he’s faced in the last 12 months. “I think everybody knows I’m somebody who has always had a lot of energy. I know myself that I just can’t keep still, I always have to be busy and doing something. “A while ago, that changed and I started to feel really tired. Looking back, it was getting worse, but I didn’t really notice it so much. Then I had the accident this time last year in Riga. The broken bones were tough and racing in Germany was hard, but actually, I have a lot to thank that accident for; the x-rays showed there was a problem with one of my lungs. There’s a very long name for the condition, but basically, I was producing too much iron. “It took quite a long time to get the dosage right and during that time, it’s been tough. I’ve noticed some changes with my eyes, my face and I started shaking. “I won’t lie to you, it was really quite a scary time. I didn’t know what was happening or why it was happening. During the racing, the adrenaline would start and this always lifted me up to compete. But after the races, I was really, really tired. After the official test [in France] where I drove for one day, I flew straight home to hospital – I was pretty sick for a while. “We had to start thinking about somebody else coming in to take my place in the team. If this carried on, I knew myself that I couldn’t do it. This was not a good time for me. “After the race in Sweden, things changed and I started to feel better. And, since then, things have been getting better. I can feel myself that I’m coming back now, the energy is coming again and everything is coming more normal again. We’re on top of this now. “I understand you can look at me and things don’t look quite right. I haven’t been myself. And I haven’t done so much in the media, on the television and with the fans and that hurts me. I have always loved to meet the people and talk to them and not being able to do that has been really hard. “Believe me, I am coming back now. There’s another month or so on this medication, then we have some more checks, but the doctors are happy with the way we’re going now and so am I. “I have to take this chance to say a very, very big thank you to my family, to Pernilla and Oliver, to Johan and everybody in the team and, of course, to everybody at Volkswagen Motorsport – they have helped so much with so much support through this recovery. Pernilla, at last year’s World RX of Latvia you managed to win two world titles, but you finished the weekend in the hospital with Petter – what are your feelings about coming back to Riga? “It’s a race track. What happened to Petter was an accident and he was really unlucky. He’s the first person to say what happened is part of the game, it’s one of the risks you accept when you start the race. “But, he’s still my husband and, on a personal and more emotional side, of course, it was a nightmare. Fortunately, we had very good medical attention really quickly and Petter was able to come back like a miracle and nearly win at Buxtehude just a couple of weeks later. For me, that will remain one of the strongest things I have ever seen in motorsport. I have known this guy a very long time, I’ve seen him win rallies, races and world championships, but to see the effort he put into getting fit to be back in that car – and the work he’s done on his fitness this year – it makes me so proud to call him my husband. “Sunday in Latvia last year was strange, there was the worry for Petter, but then we had the titles and all the celebrations that came with those. To win the championships in Riga was so big news for us; we had made such a late start to this project with Volkswagen Motorsport and to come through with seven wins from nine races up to Latvia was unbelievable and a fantastic achievement for all of us. “Definitely! It’s not every day you win the FIA World Rallycross Championship and I’ll never forget that Sunday afternoon in Riga last year. That memory has made me look forward to this race a bit more; it was such a special moment and being back in the same paddock again, it will bring it all back. “But, once I get in the car and pull the helmet on then thoughts from last year will be forgotten. It’s all about the next corner and the next race. I have a job to do this weekend; the championship is looking good, but nothing is done yet. 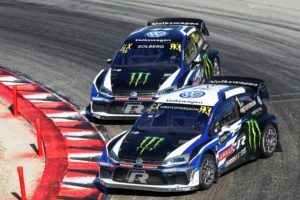 And, of course, what’s really important is that Petter and I both run well and score good points for the PSRX Volkswagen Sweden team. 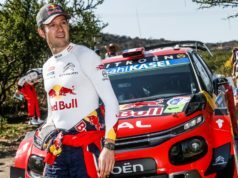 “We all remember Petter’s accident in the semi-final last year, it was really not a nice feeling in the team to know that my friend and team-mate was injured.